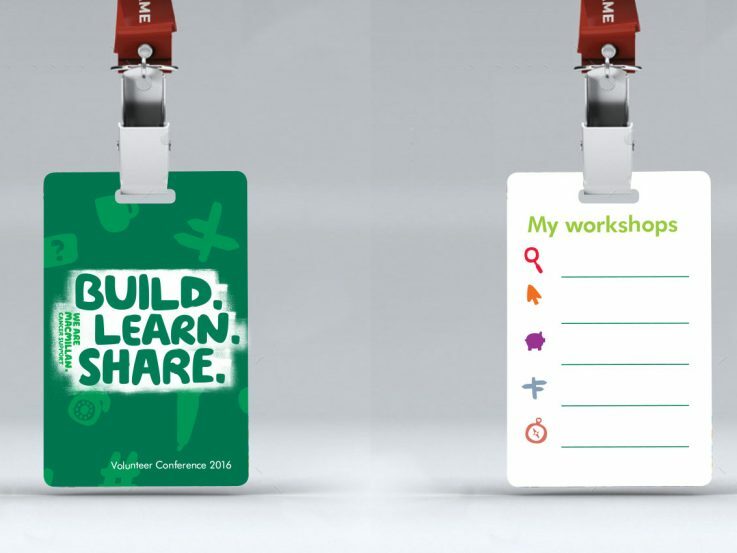 Macmillan Cancer Support asked us to create a brand identity for their Annual Volunteer Conference and Awards. It had been a huge success the previous year and both volunteers and staff including the CEO were committed to making this year an even bigger and better one. 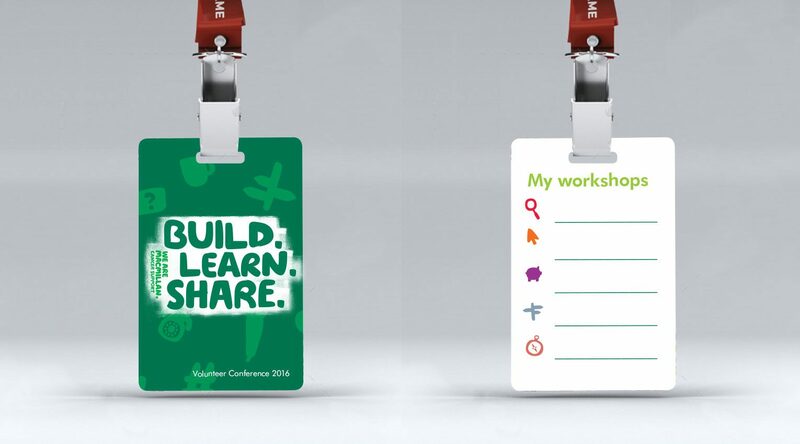 After presenting three concepts the chosen idea centered on the verbs Build, Share and Learn set up in a dynamic style to give maximum impact with icons representing all the different learning areas volunteers would be invited to focus on at the conference. We wanted to get across the idea of volunteers trying new things and sharing their experiences. 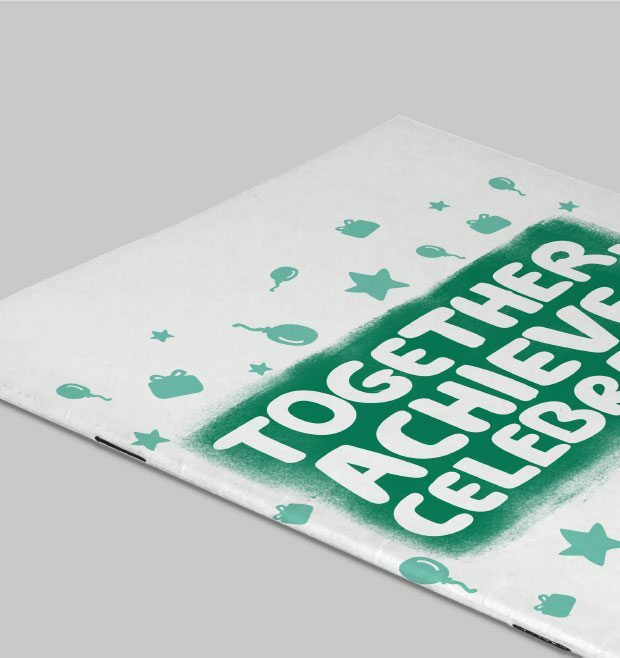 We flexed the look and feel as much as we could to ensure the concept worked before pulling it back so that it sat within the main Macmillan brand while still retaining stand out. 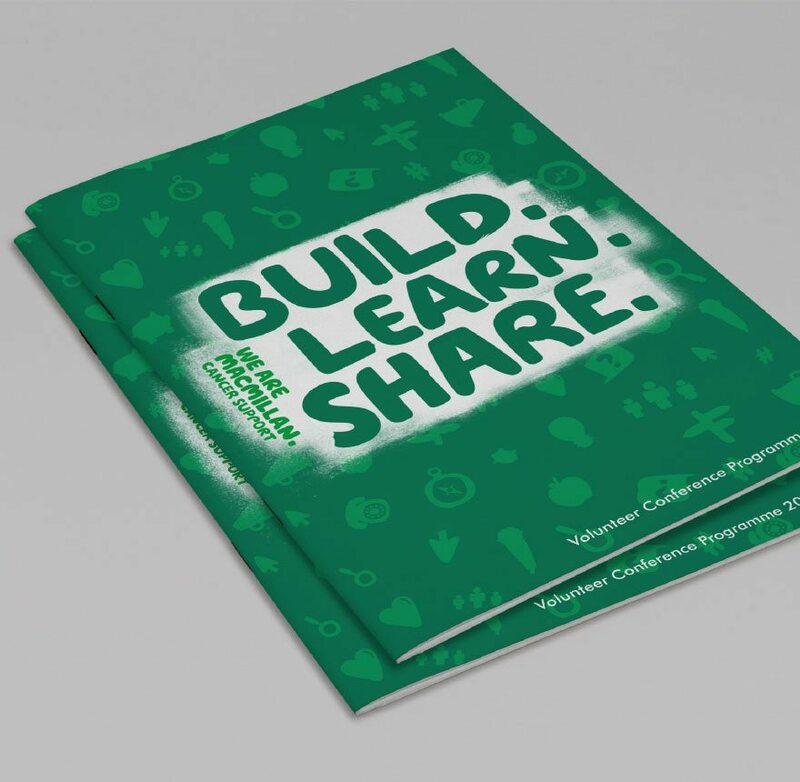 Although we needed to work within the Macmillan guidelines, it didn’t stop us from creating a bold, fun and engaging visual identity. We even persuaded the team to think about signage ensuring all brand touch points at the conference were consistent.